The South Alps (of Japan) is sort of a sacred area for landscape photographers specialized in Mount Fuji. Fuji does look really awesome when seen from other high mountains. Needless to say that the most important sacred place is Mt. Fuji itself for us. But we can’t shoot Fuji when we are on the top of Fuji, you know? 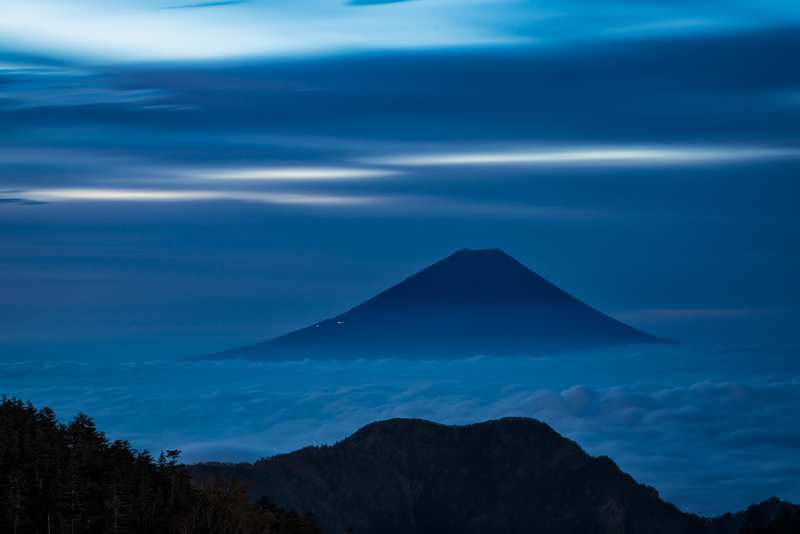 This entry was posted in Photography, Trekking and tagged mount fuji, mount houou, mountaineering, Shooting, Trekking, 富士山, 撮影, 登山, 鳳凰山 on 10/15/2014 by yuga.